Although one sample had a slightly high level of mercury, it was below the level the DEP deems risky. The results were reviewed by the Maine Department of Environmental Protection this summer and summarized in a memo sent Monday to town officials. The firm Stantec collected sediment samples in 2015 from 10 sites behind the Bridge Street Dam, which measures 10 feet high and 275 feet wide. The dam, which creates the impoundment and flatwater popular with paddlers and ice skaters, still features a small hydroelectric facility and has been the site of numerous industrial operations over generations. One sample contained slightly elevated levels of mercury, but the results were well below the concentrations that the DEP says would have “probable effects” on animal or plant life. Two of the 10 samples contained levels of polycyclic aromatic hydrocarbons, a common class of compounds resulting from the burning of fossil fuels or that come from substances made with fossil fuels, including asphalt. One of those samples was taken next to an area where runoff drains from Route 1 – a fact noted by DEP staffers who reviewed the results. But DEP staff said the overall concentrations of polycyclic aromatic hydrocarbons, or PAHs, in the sediments behind the dam “would be much lower” than the concentration likely to affect health. “That there is some contamination of PAHs is not surprising given the industrial history and current vehicle traffic and other human activity in the watershed,” DEP biologist Barry Mower wrote in an analysis of the test results. Also, concentrations of mercury – a neurotoxin found in many of New England’s industrial rivers – were lower in the sediments behind the Bridge Street Dam than in the estuary below the impoundment. Bell said he was not surprised by the results, given earlier tests that showed relatively low contamination. But the Yarmouth resident said he hopes the results will offer some assurance to residents who still ask him about potential contamination behind the dam. The issue of potential contamination came up repeatedly during the years of discussions about the future of the two Royal River dams in Yarmouth, at Bridge Street and East Elm Street. Downriver residents and businesses, such as boat yards, expressed concerns that removing the dams or even building new fish bypasses around the structures could send contaminated sediments downstream. The town of Yarmouth owns the Bridge Street Dam. Town Manager Nat Tupper said he’s not hearing any interest among town leaders in removing the dam that creates the impoundment, which is popular with paddlers throughout Greater Portland and is used by L.L. Bean’s Outdoor Discovery Programs. Tupper said the results of Stantec’s analysis confirmed his beliefs, based on previous testing, that there was relatively little contamination. After pushing for years to remove the two lower dams on the river, conservation groups have shifted their focus toward improving the fishways that allow migratory fish to swim around the structures. Fish passage around the Bridge Street and East Elm Street dams is inadequate during much of the year and impedes access to more than 100 miles of watershed for migratory fish, such as alewives, eels and shad. 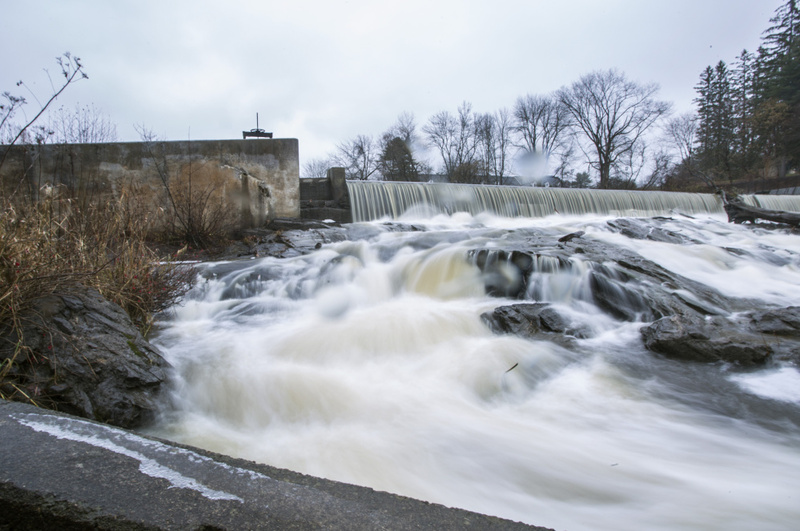 Tupper said organizations continue to discuss fish passage options around the dams. 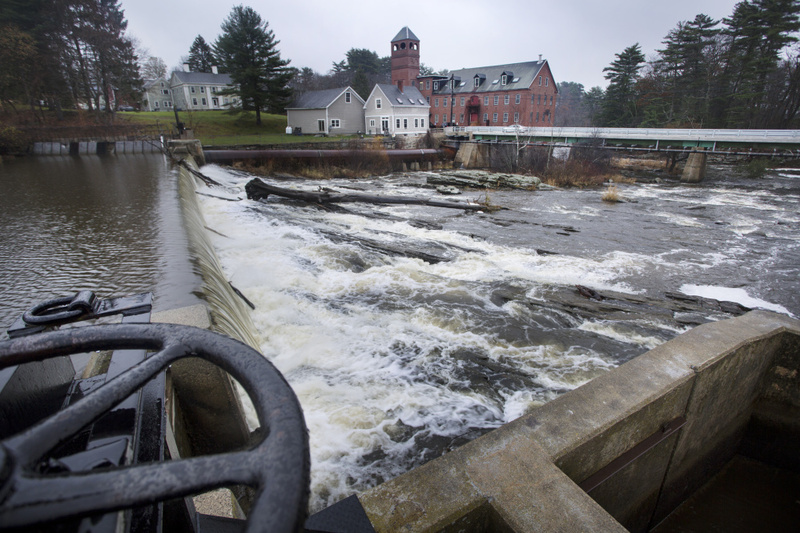 A local resident involved in renewable energy also continues to explore the possibility of revitalizing the Sparhawk Mill hydroelectric facilities located just upstream from the Bridge Street Dam, Tupper said. He said the contamination study results, while not unexpected, will likely be well received.